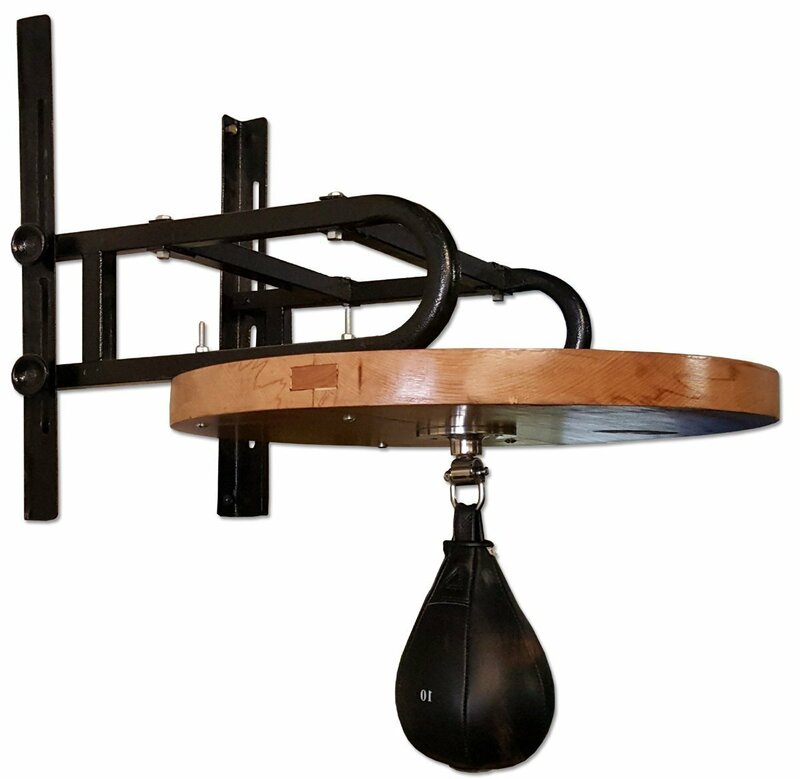 Adjustable Speed bag Platform: 12 inch height adjustable, wall-mounted speed bag platform. The frame is double layer laminated wood to avoid any vibration, powder coated for scratch resistance and durability and is designed to mount on 16 inch on-center stud walls. 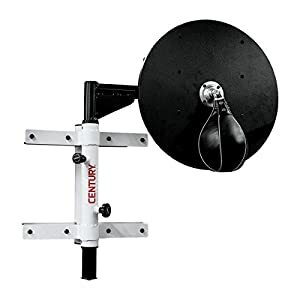 The platform includes about 2 inches laminated wood base with 23 inches diameter, a professional swivel included for speed bag (speed bag sold separately). 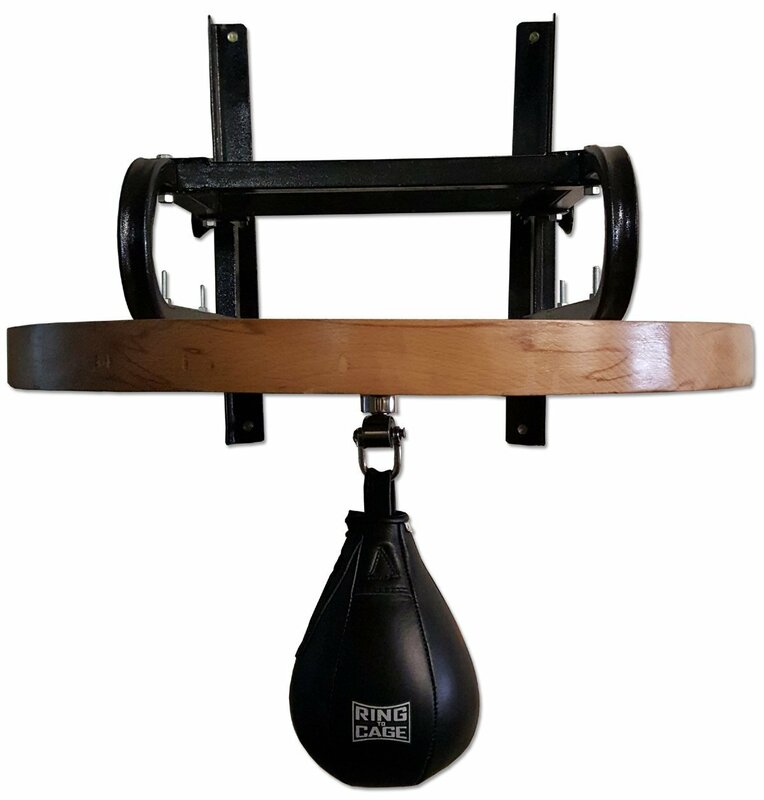 Adjustable Speed bag Platform: 12 inch height adjustable, wall-mounted speed bag platform. 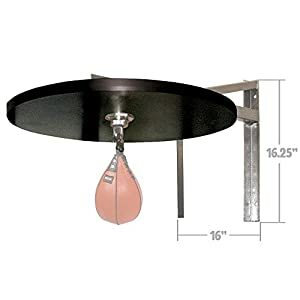 The frame is double layer laminated wood to avoid any vibration, powder coated for scratch resistance and durability and is designed to mount on 16 inch on-center stud walls. 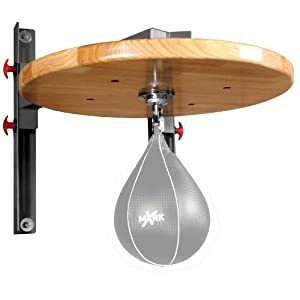 The platform includes about 2 inches laminated wood base with 23 inches diameter, a professional swivel included for speed bag (speed bag sold separately).